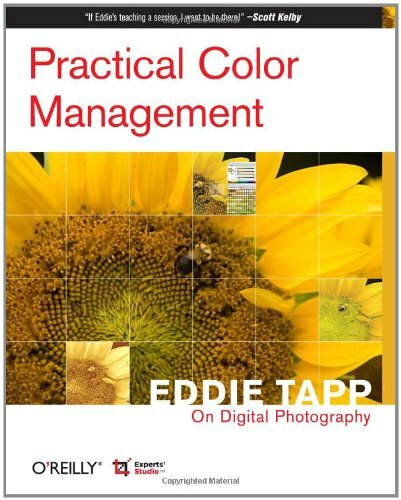 The second book in this acclaimed series from noted photographer and digital imaging expert Eddie Tapp delves into color management, a topic that has needlessly become a mystery to experienced digital photographers, whether they're avid amateurs, serious students, or working professionals. With his easygoing yet authoritative style, Eddie sheds light on this topic and supplies an understanding of color management that readers apply to their own work. Clear and concise, this highly visual book explains how color management is a part of the overall photographic workflow. Eddie demonstrates the three stages of color managed workflow, from choosing a color space, to calibrating your devices, to applying appropriate profiles, and shows you exactly what you need to know and why you need to know it. Color management scientist Rick Lucas contributes a chapter on the hard-core technical aspects. Other books on color management are much too long, involved and intimidating. This absorbing book sets the right tone and supplies you with key answers quickly. Our Eddie Tapp on Digital Photography book series brings you the focused knowledge you need on specific areas of digital photography. Acknowledged as one of the premier trainers of digital imaging in the world, Eddie brings his teaching experience to bear on issues that other books gloss over or bury under general coverage. Now, you don't have to buy a doorstop-sized book to get the key information you need on color management, efficient workflow, or a variety of other specific digital imaging topics. Eddie Tapp on Digital Photography also covers workflow setup; advanced and professional production techniques; controlling digital color and tone; creative enhancement techniques; and more. This series is a perfect complement to O'Reilly's general list on Photoshop and digital photography, and offers you focused books that cover technical issues at prices that are affordable and solutions that are quickly accessible. We're thrilled that Eddie Tapp has finally agreed to publish books - and with O'Reilly.